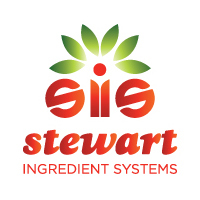 Since the early 1900s, the Stewart family has supplied value-added ingredients to the food industry. From our origins in fruit processing, we have progressed to today’s full array of fillings, toppings and functional ingredient systems. From the beginning, the company has placed a premium on creating a wide range of options for customers. Development activities, equipment and processes have been designed to allow for dialing-in all properties of particulate size, viscosity, flavor and aroma, texture and function.